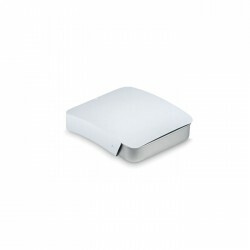 Every business looks for low-cost promotional ideas to help increase their brand awareness. Well, choosing which products to use that won't blow your promotional budget can be tricky sometimes. You want something that clients are actually going to want to put in their pocket and enjoy being given. 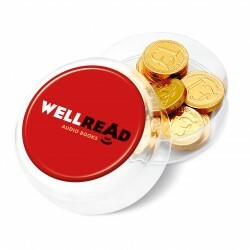 So what could be better than promotional mints? 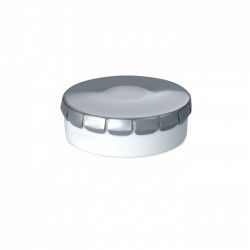 With a wide range of tins, packages, and branding opportunities, mints can be the perfect promotional product for your brand. Everyone likes mints! Who doesn't like being given some candy or something sweet? 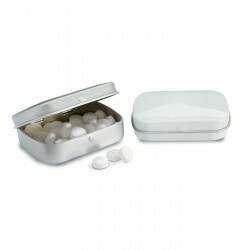 And after a heavy business lunch, a tin of refreshing mints can be a life-saver after all the garlic, wine or coffee. Mints are a really useful thing to carry. Offering a mint can be a good ice-breaker in a business or social context. 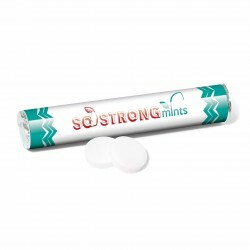 Everyone loves the person who has mints to hand at the end of a meal. 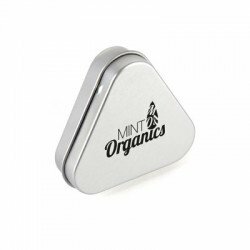 With real metal tins available from as little as £0.58 a unit, mints can also be a low-cost way of thanking your clients and giving them something sweet to pop in their pocket. Mints also have a long shelf-life. They don't perish in the way that dairy confectionery such as chocolate can. Packets of mints can last up to 36 months. 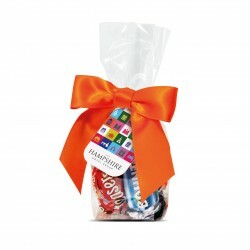 Branded mints can come in a variety of different packets, tins and gift cards. This gives your business so many options to choose the packaging that your logo will look the best on. 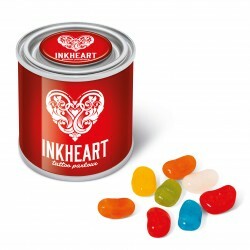 And if you choose a metal tin then your client will be able to re-use it long after the mints are gone. Giving a longer reminder of your brand. 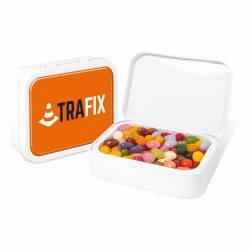 So which type of branded mints should you choose for your business? 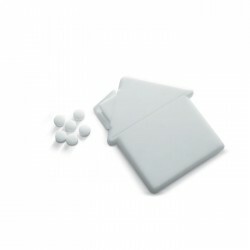 Here are some of the most popular promotional mints available. Pocket Tins offer a neat, classic packaging for mints. Which you can have custom printed with your logo. 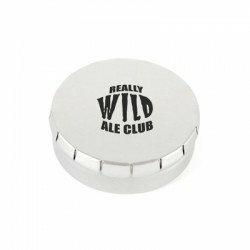 Pocket Tins can be re-used so your branding lives longer than the mints inside! The Small Paint Tin is a really fun way to get your brand across. 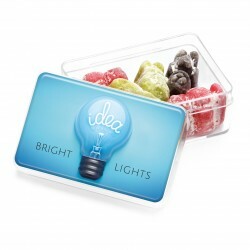 These can be used for all sorts of sweets and candy, not just mints, and offers a really eye-catching promotional statement. 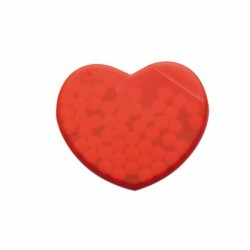 The Heart Shaped Box is a really cute idea and perfect for Valentine's Day promotions or any event where you want your logo to reach the heart of your clients. 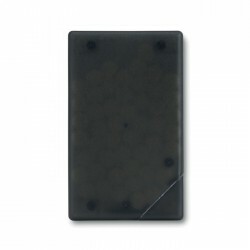 The Mint Card is a classic, corporate-looking promotional product. They are nice and slim, so they can slide into a jacket pocket without feeling bulky. 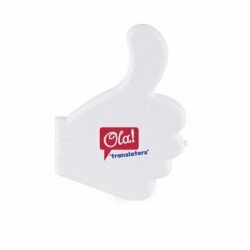 These are lightweight and super useful for all branded events. 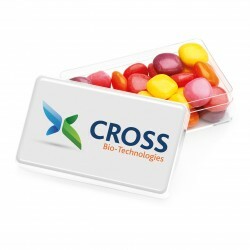 Mint Cards come in a variety of colors to make your logo stand out and offer excellent value for money. 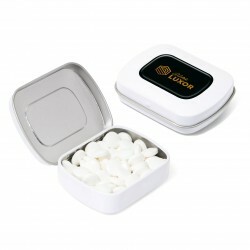 These are just some of the promotional mints that can be branded with your logo. 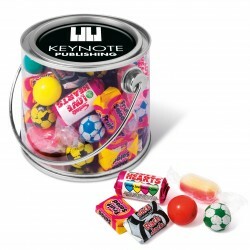 Take a look at all the promotional mints and printed sweets available from PrintKick and make the choice that is right for your business. Check out our FAQ pages for more info on printing, branding, and delivery, then get ordering your promotional mints today.